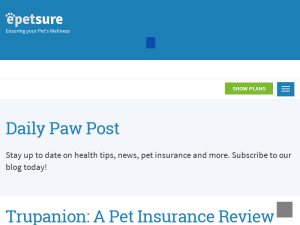 Blog Discription: Stay up to date with pet wellness, pet lifestyle tips, benefits of pet insurance for your pets, and epetsure news. epetsure was built by pet parents for pet parents that are confused about what pet insurance is and the benefits they can provide. Learn more about ensuring your pet's health and get a FREE quote today!